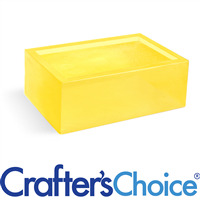 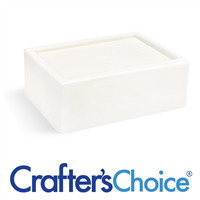 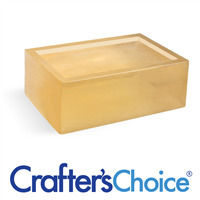 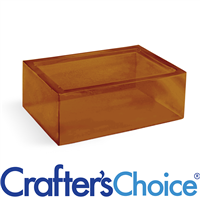 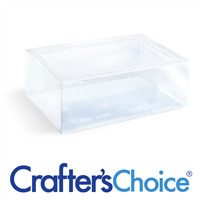 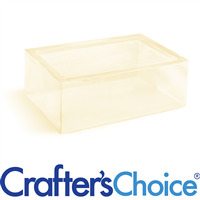 Crafter’s Choice offers a ten-pound block of soap in many of our melt and pour soap bases including Basic, Detergent Free, Premium and Premium Suspension soap bases. This ten-pound block produces (40) 4 oz. 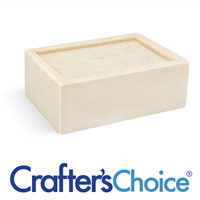 bars of soap and measures 12" x 11" x 2.25".